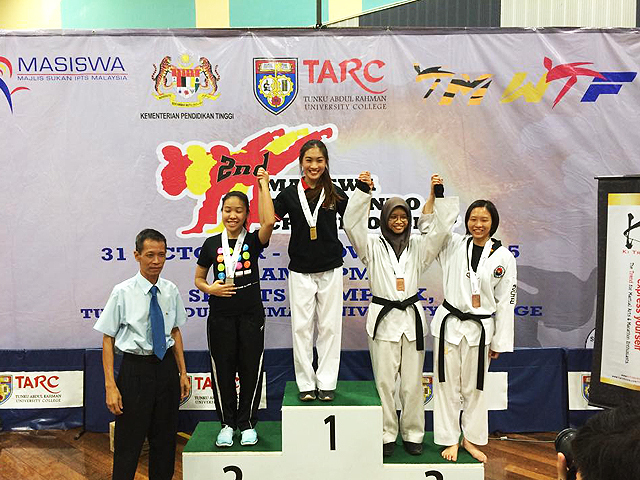 The 2nd Masiswa Taekwondo Championship 2015 was held at Tunku Abdul Rahman University College (TARUC) Setapak Campus from 31 October to 1 November 2015. 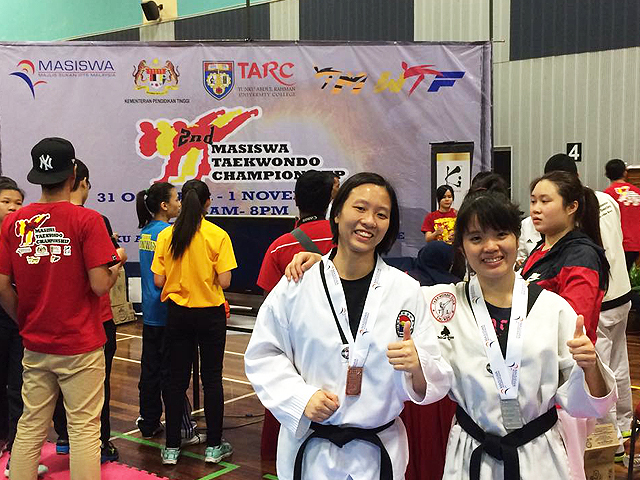 The championship was an event under the Masiswa Secretariat, of which UTAR is a member. The Department of Student Affairs, Sports and Recreation Unit (DSA-SRU) sent a team of 13 players to compete in the championship. 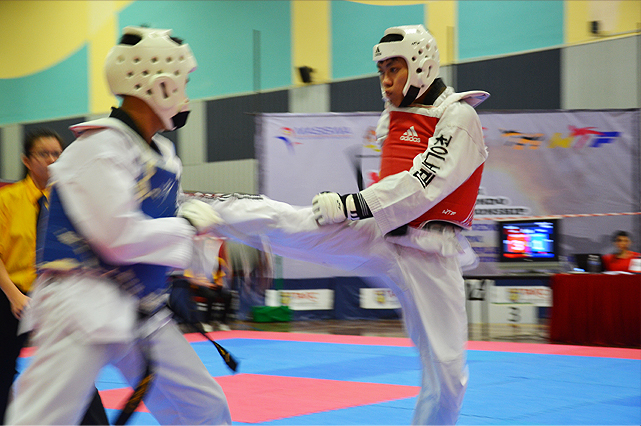 The event was a useful platform for all UTAR Taekwondo players to gather experience and see how Taekwondo players from other private universities stack up. 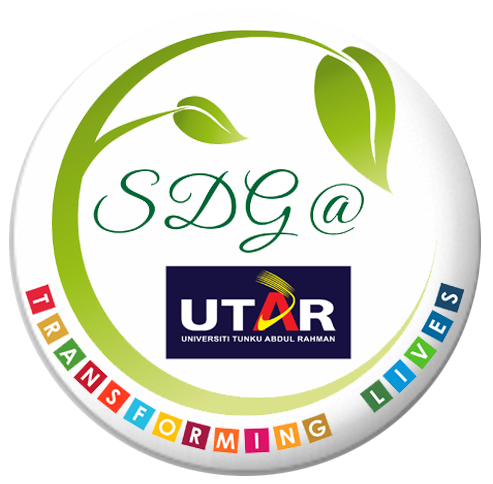 There were over 350 participants from 25 private universities. 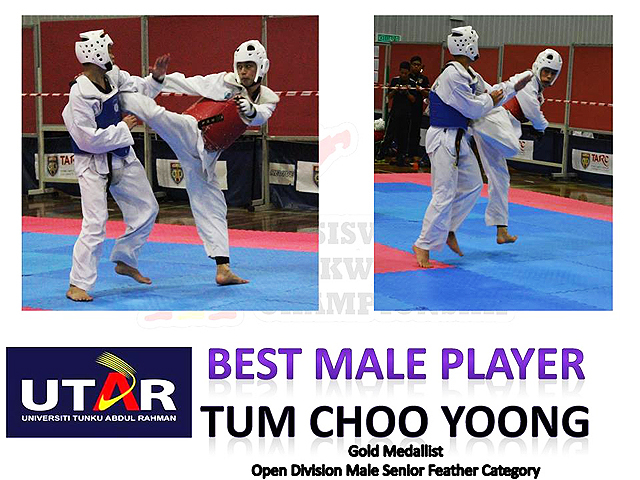 Building and Property Management student Tum Choo Yoong triumphed at the championship by securing a gold medal in the Open Division Male Senior Feather Category and the ‘Best Male Player’ title. 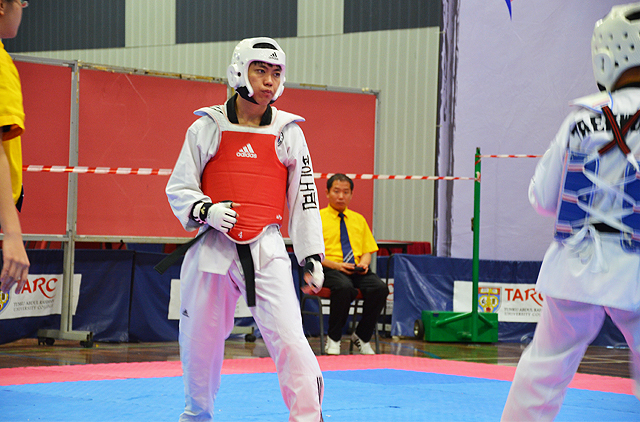 Chinese Medicine student Wong Zixin and Building and Property Management student Lai Zai Jun nabbed silver medals, whereas Building and Property Management student Kong Wai Jian, Accounting student Ban Sok Tee, and International Business student Choong Poh Yee shared the joy by winning bronze medals. The event progressed smoothly and all the players gave their very best. The event was advantageous as it helped to improve the players’ physical and tactical skills, and psychology for future games such as Sukan Institusi Pendidikan Tinggi (SUKIPT) 2016.